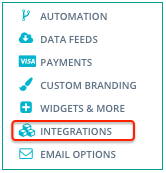 Tokeet has developed a turnkey integration with Slack. 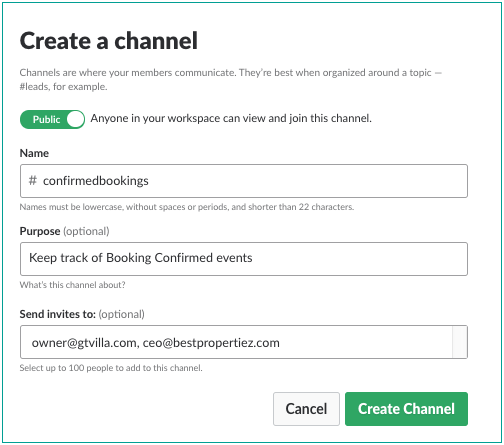 First, we recommend that you create a new channel in your Slack account to track Tokeet events. For example, you may want to have a separate channel to track all your Confirmed Bookings. You can now start to connect Tokeet and your newly created Slack channel. 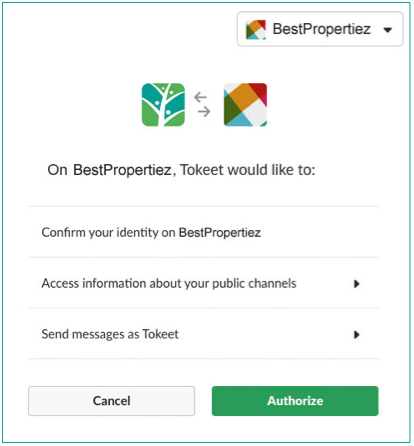 Click "Authorize" to allow the connection between Tokeet and your Slack account. On the Slack page, Click "Connect" and provide required info. Select the Message Template you wish to use. You may want to create new message templates for your Slack connection. Your Slack connection is now listed. 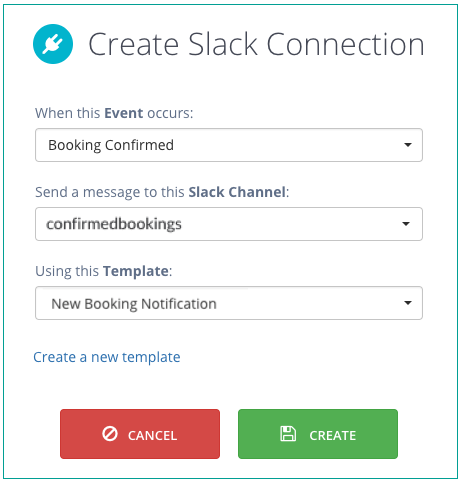 You can create as many Slack connections as you'd like, for example if you'd like to track different Tokeet events in different Slack channels.